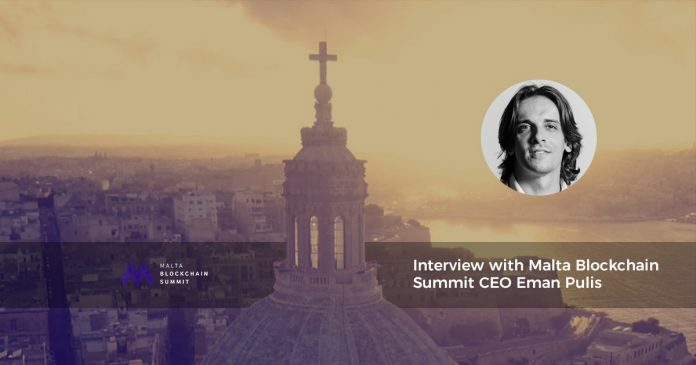 Eman Pulis is the founder and CEO of SiGMA, the Summit of iGaming in Malta, and now also the Malta Blockchain Summit. SiGMA has become a world-renowned must-attend calendar event, attracting 500 exhibitors and sponsors, 12,000 delegates and 150 speakers, culminating in a Malta Gaming Week throughout November. His eyes are now set on making the Malta Blockchain Summit the quintessential ticket for blockchain enthusiasts across the globe. Let’s find how in this Eman Pulis Interview! Q: Hi Eman! Thank you for joining us today. Can you tell us more about yourself and the Malta Blockchain Summit? A: Thank you, much appreciated and I am more than happy to do this interview with you. I am Eman Pulis and I am perhaps most known for founding SiGMA, an iGaming summit that has grown from a one-man venture into one of the largest iGaming events in the world over the past four years. I am a former national athlete, and have been organizing events for the past sixteen years. I became active in the crypto space some couple of years ago and have been following the rise of crypto trading and the developments within blockchain technologies closely ever since. 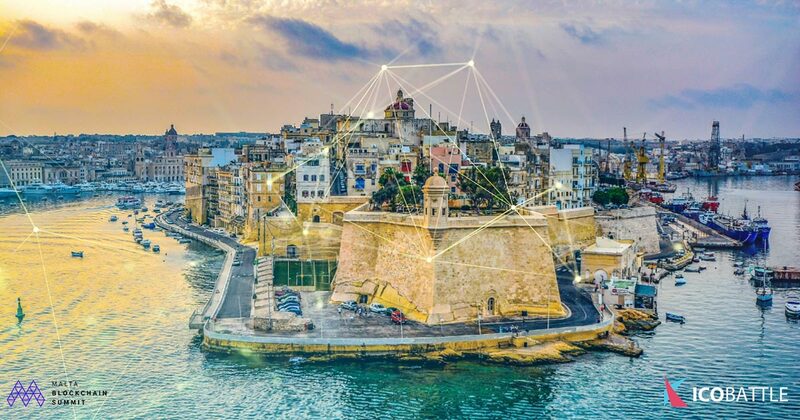 When Malta decided to launch a regulatory package to give businesses active in the crypto space peace of mind, I saw the opportunity to launch a massive summit for Blockchain modelled on the same successful concept as SiGMA. My initiative has garnered more enthusiasm than I imagined and I am very grateful to be at the centre of this momentum. The Malta Blockchain Summit is not just an expo. It is also made up of four conferences, a two-day Hackathon, an ICO Pitch, a Blockchain Awards Ceremony and a Crypto Cruise. At our summit, I want to make sure that this emerging sector thrives and find the right synergies with like-minded people at the forefront of Blockchain and DLT. Q: How would you describe your job role as CEO of the Malta Blockchain summit? A: One of my mottos in launching successful ventures is that everyone leaves their ego at the door. This is paramount for a team to be able to collaborate successfully and make the right decisions in high-paced business environments. My role is to lead the way to a successful summit and take charge of the decisive assignments to make everything fall in place and make sure our visitors and exhibitors get maximum value for their ticket. This role runs into every detail. Although I manage a large team now compared to when I built SiGMA, I do not shy away from the grunt work and find myself striking up conversations with enthusiasts in various roles among our strategic partners, exhibitors or individual attendees. My role as a CEO is diverse, but the team for me is everything, I love them all! Q: How you got involved with the Malta Blockchain Summit? Is this the 1st edition? A: As mentioned earlier, I have been following the developments within the blockchain and crypto space for many years. Having built a massive summit within iGaming, which is also a sector operating under relatively unclear regulatory circumstances where affiliate marketing is a key tool, it was the obvious opportunity for taking the next adventurous plunge. This is the first edition of the Malta Blockchain Summit and I am certain it will not be the last. As Malta has risen to the top among jurisdictions for cryptocurrency exchanges, we are riding a wave of enthusiasm. Q: Did you personally see there is an opportunity for this type of conference in Malta? A: Yes I must say so. Malta is a highly digitalized country that has always survived on the skills of its population and its highly adaptable business acumen. Malta is able to adjust swiftly to changing trends which makes it into the perfect hub for accommodating highly digitized businesses. As for the event side of things, let’s face it, Malta lends itself quite well, with so many crypto exchanges relocating to the island, great hotels and weather all year round. It is also the simple things that make a difference. For instance, prices in Malta are relatively cheap so a company sending, say, five of its management, will pay less for hotel, meals and related costs. From the minute you land in Malta, it will take you some half hour to land in your hotel room. In other major cities it takes you an entire three hours from the time the plane lands until you drop your luggage in your hotel room. This all adds up to the overall experience. When people are more relaxed, business flourishes! Q: What are the aims and objectives of the conference? A: We want to provide an illustrious melting pot of crypto and blockchain enthusiasts from across the globe a momentous opportunity to network, forge new connections and debate the potential applications of blockchain – reflecting the central role that Malta is establishing as a jurisdiction for crypto exchanges and blockchain application developers. They are our lifeline and we want to go the extra mile to accommodate them. Q: Tell us about the structure of the conference. I see it includes expert talks covering legal and technical aspects of blockchain technology, tell us more. A: The summit is comprised of four conferences covering the field’s government and regulation, marketing and affiliation, fintech, tokenomics and cryptocurrencies, and blockchain for developers. The idea is to cover every relevant field and make everyone feel at home. To provide maximum value for our exhibitors, blockchain developers and affiliates are invited to the Malta Blockchain Summit free of charge. The summit also includes a two-day Hackathon, an ICO Pitch, a buzzing expo floor, and it all ends with a suave Crypto Cruise. Our line-up includes prominent individuals such as blockchain Co-Inventor W. Scott Stornetta, Evercoin-founder Miko Matsumura, Forbes 30 under 30 entrepreneur Christopher Obereder, Eric Benz, Mike Butcher, Jon Matonis, Nate Whitehill, Loretta Joseph, Matthias Klees, Max Krupyshev, Gordon Einstein, Alex Lightman, Eva Kaili, Joseph Cuschieri, Sally Eaves, Philippe Chevry, Tugce Ergul, Steve Tendon, Pavel Kravchenko, and Ian Gauci. The Prime Minister of Malta, Joseph Muscat, will inaugurate the regulatory conference. Q: Could you talk a bit about the target audience of the Malta Blockchain Summit? A: We want to be relevant to everyone who has an interest for Blockchain and DLT. Whether you’re a crypto trader, a blockchain evangelist, an investor, an ICO advisor, an entrepreneur, an affiliate, a blockchain developer, a student or an employee at any level of business within the space, you are welcome at the Malta Blockchain Summit. This is why we have chosen to provide a diverse set of activities that run simultaneously throughout the summit. We want to ensure that there are options on the program suitable for everyone at each given time rather than streamlining the entire event to run on one track. Q: Can you give us some numbers? How many speakers, sponsors, participants, organizers etc. are involved in the conference? A: We aim at 4000 delegates, 100 speakers and 150 exhibitors. Our line-up is already full, we have sold at least a fourth of the tickets and our exhibition packages are selling out quickly. All of the premium booths are already sold out. We are very grateful for the interest in our summit from all across the globe. As for the organizers, we have our own team of around 15 people. We have also partnered up with the conference CRAC who will be in charge of the marketing and affiliation conference. A number of other strategic partners are also involved in taking this summit to new heights. Q: What makes the Malta Blockchain Summit different from other European Blockchain Summits? A: First of all, we have our eyes set on providing maximum value for our exhibitors. We are aware that marketing within the crypto space is difficult due to Facebook and Google bans. 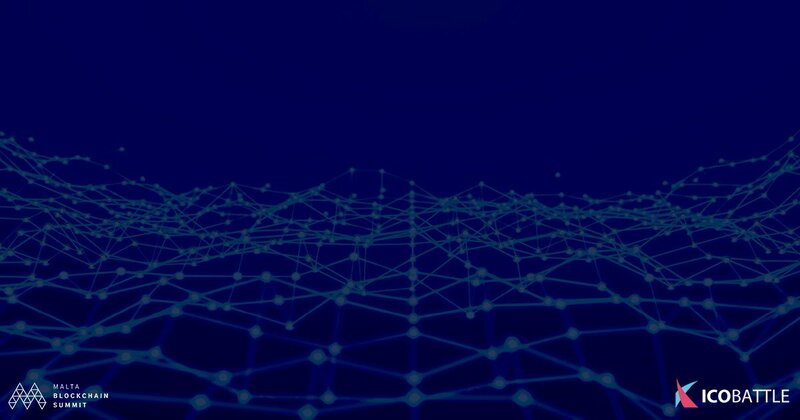 We are also aware that blockchain developers are hard to find and high in demand among companies active in the space. We have therefore chosen to invite affiliates and blockchain developers for free. We are also bigger than most of the other events and offer our packages at roughly the same prices as smaller conferences. Whereas a booth worth 3000 EUR would give your business exposure to 500 delegates at an average conference, you will be given exposure to 4000 delegates at the Malta Blockchain Summit, for the same price. Our focus is set on providing quality at all levels to make sure that Malta Blockchain Summit is the quintessential ticket for everyone enthusiastic about Blockchain and DLT. The true beauty of our summit is that while being diverse and tailored for blockchain enthusiasts of all kinds, we are at the centre of gravity due to our unique location on the ‘Blockchain Island’, which Malta is now famously called within the Blockchain space.